Server Status Checker will tell you whether the server of your website is online or offline. It is a very useful tool which every webmaster should use at regular intervals to keep them updated on their site's server status. 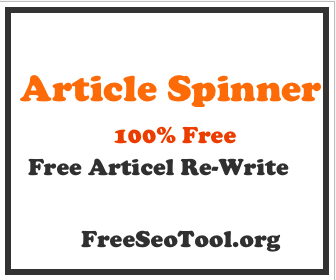 As this tool is the desperate need of every webmaster, the team at Free Seo Tool has created it so that everyone can use it for free. Enter the complete site URL into the textbox. You can even add up to 100 domains but make sure you write every URL on a separate line. Click the "Submit" button and let our tool find the server status of each website you have entered. What's So Special In Sever Status Checker By FreeSeoTool.org? FreeSeoTool is a reputable name in the SEO industry, providing premium SEO tools at no cost and we take much better care of our users than anyone else does. Our professional team of workers have added many incredible features to this tool. The most surprising thing is that instead of checking the server status of each website one by one, you can now check whether the servers are running fine or not of up to 100 websites at a time. No matter how many sites you check, our tool will display an accurate server status report for every website you have typed in, in less than 2-3 seconds only. The server report is generated in a proper table form. If it displays the server status as "Online" then it means your website is running fine, and every internet user can easily surf your site. But if it displays the status as "Offline" then it means there's a problem going on with the website, and you should immediately pay your attention to the matter because users can't browse your site unless you fix the issue. In previous years, webmasters have gone through many difficulties because they never knew whether their website is accessible to everyone and the servers are running fine or not. But now Freeseotool.org have created this tool so that you can quickly check the server status of any website in a matter of seconds only. Server Status Checker by Free SEO Tool is extremely fast, 100% accurate, requires no registration, has a user-friendly dashboard and compatible with every browser. So use it with no worries!